Kinston- Ms. Theresa Jackson 50 formerly of Elizabeth, NJ 1019 Towerhill Rd. Kinston, NC. Transition from labor to reward on March 23, 2019 at her home. Services will be held on Saturday 1pm March 30, 2019 at Mills Funeral Home Chapel Kinston, NC. Viewing will be held on Friday at Mills Funeral Home from 3-6pm. 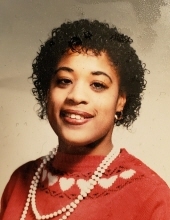 To send flowers or a remembrance gift to the family of Theresa Jackson, please visit our Tribute Store. "Email Address" would like to share the life celebration of Theresa Jackson. Click on the "link" to go to share a favorite memory or leave a condolence message for the family.